Not only will they look adorable perched in your windowsill, but the citrus will provide moisture and nutrients to the seedlings. 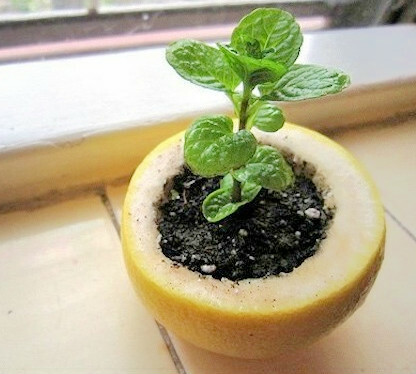 Poke a hole in the bottom of the rind for drainage, fill with soil, plant your seeds and watch them grow. When it's time, plant the rind and all for continued fertilization! 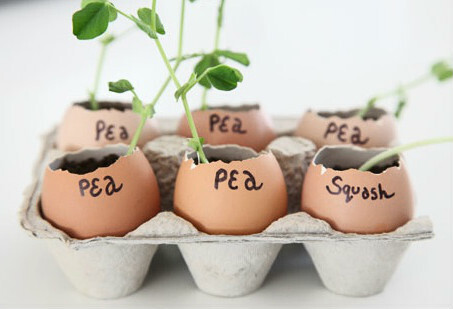 Eggshells are rich in calcium and will help seedlings get a healthy start. Delicately fill the shells with soil, add a seed and put back in the carton for storage. Bonus - you're able to label the shells! 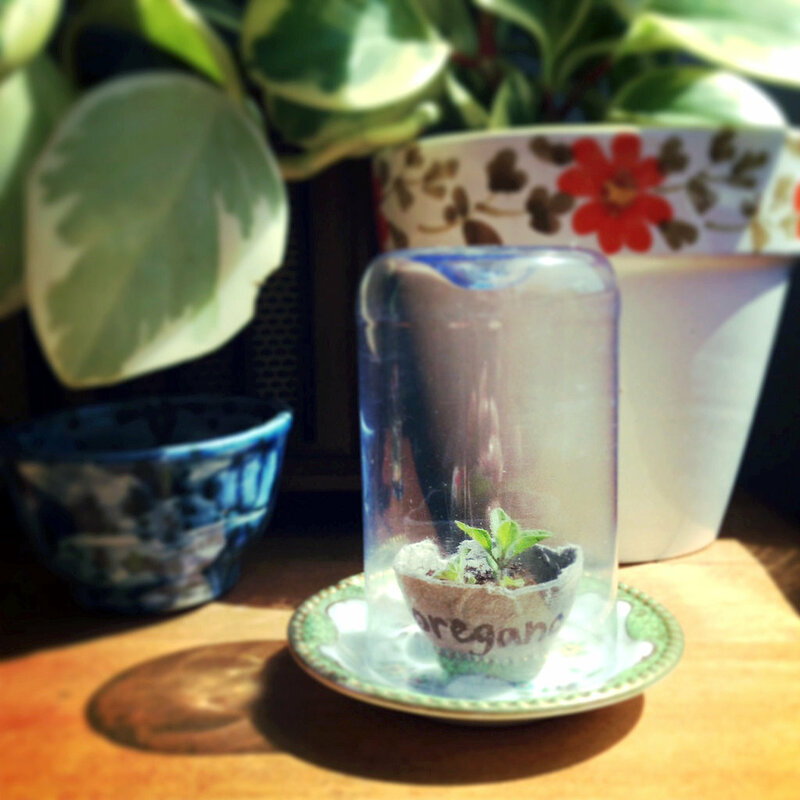 When it's time to plant, you can use the shells for a later trick..
Seedlings thrive in warm, moist climates. Luckily it's as simple to create that environment as cutting the top off of a plastic bottle and covering your citrus or eggshell starter plants! 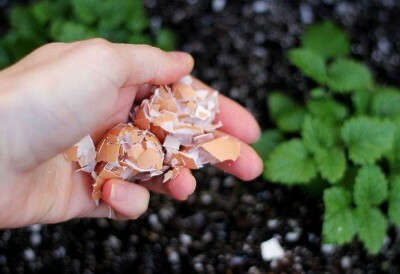 When you're ready to plant your seedlings, crush the eggshells you used and sprinkle around the garden. The calcium will break down and fertilize the soil all season. Bonus tip - snakes do not like eggshells as they are uncomfortable to move over; if you're squeamish this is a good way to keep the serpents out of your garden! ...and put it to use as fertilizer! 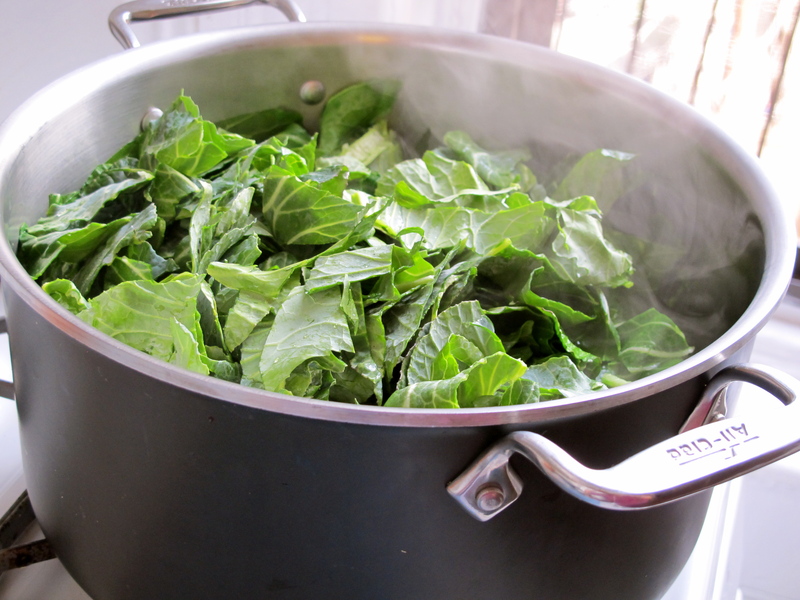 Drain the water you use to cook your vegetables, let it cool and use it to water your plants. Not only will you be saving water, but you'll be recycling the nutrients lost in the boiling process for an added boost. Starting beautiful rose bushes is as simple as pushing a clean cut stem into a potato and planting. 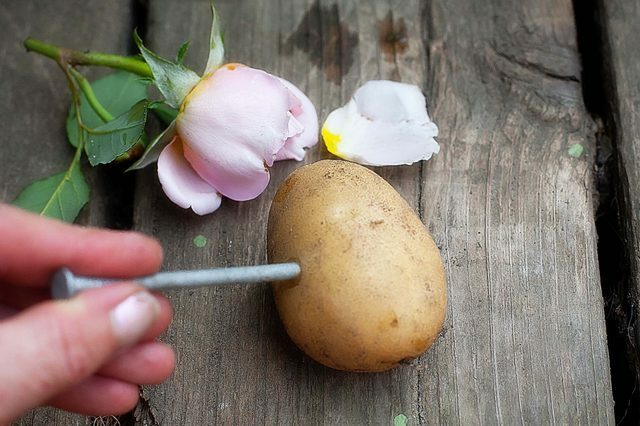 Use a nail to make a hole 3/4 of the way through a potato, then push a rose stem into the hole. The potato provides moisture and helps the roots of the rose start. Plant the potato, fertilize regularly and watch your roses grow! 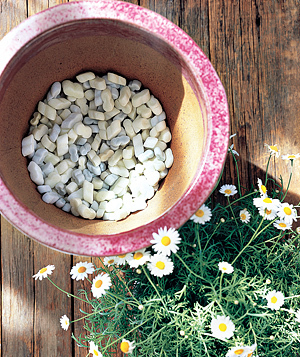 Sprinkle a bit of epsom salt into the soil before planting to provide a growth boosting punch of magnesium and sulfate. Thereafter, dissolve a tablespoon or two into your watering can each month to keep your vegetables and flowers looking luscious. 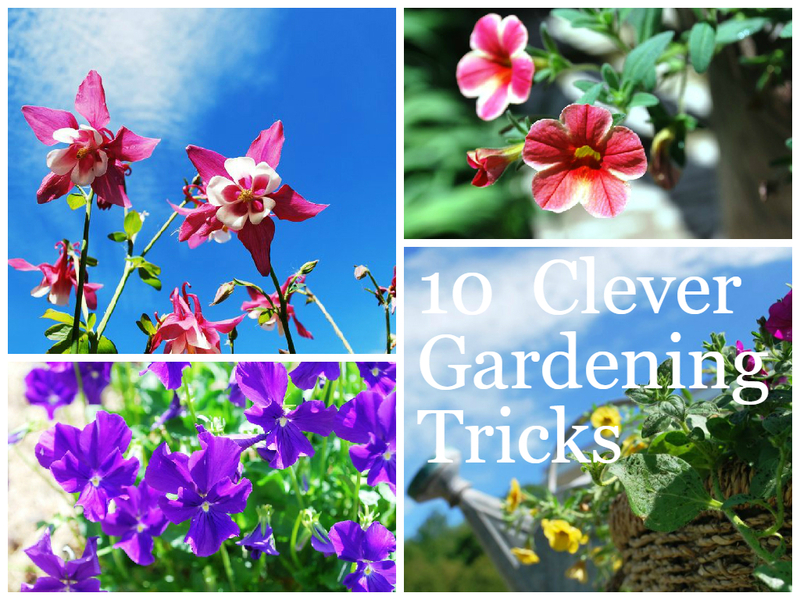 Huge pots of flowers make a gorgeous statement on a deck or patio, but also require A LOT of soil to fill, and don't even think about moving them with all that weight! Save the soil and fill the bottom half of the pot with packing peanuts instead. 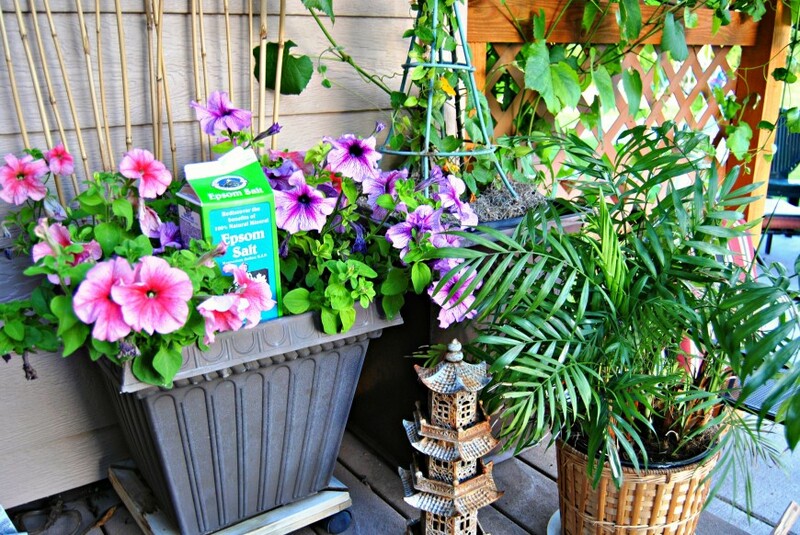 Not only will it lighten the load, it will also provide drainage to let your plants thrive. Short on space? No problem, you can still grow a garden! Pick up a large rubbermaid container with a lid and you're nearly there. Poke drainage holes in the bottom of the container then fill with dirt (or halfway if you use our earlier packing peanut trick!). Plant your vegetables and move the container as necessary - this is perfect for apartment living. Place the filled container on top of the lid to allow excess water to drain out without causing damage. 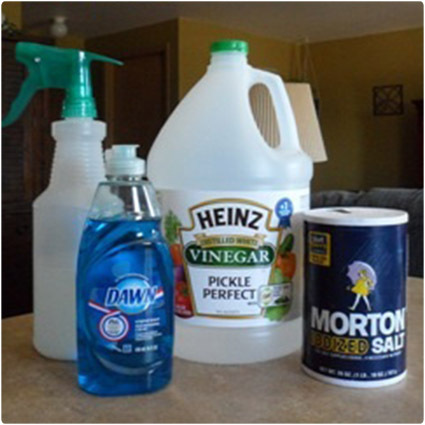 Make an earth friendly - and magically effective - weed killer using ingredients you already have on hand! Put in spray bottle and apply to weeds while in direct sunlight for best results. *Caution* This will cause damage to grass, so be careful while spraying.